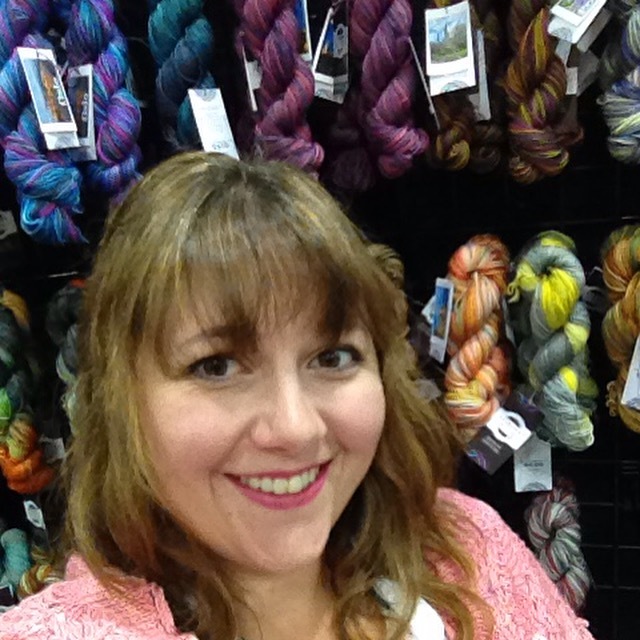 Destination Yarn is a small, independent, hand-dyed yarn company founded on a love of travel, photography, color, and the fiber arts. Each colorway is inspired by travel. Several dye techniques are used by Destination Yarn. Hand painted colors are used to describe specific places such as Lake Erie and Provence. 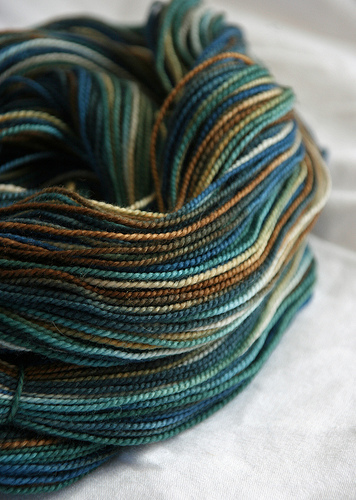 Kettle dying – allowing for the colors to mix and bleed – is used to create skeins inspired by travel experiences such as a campfire. 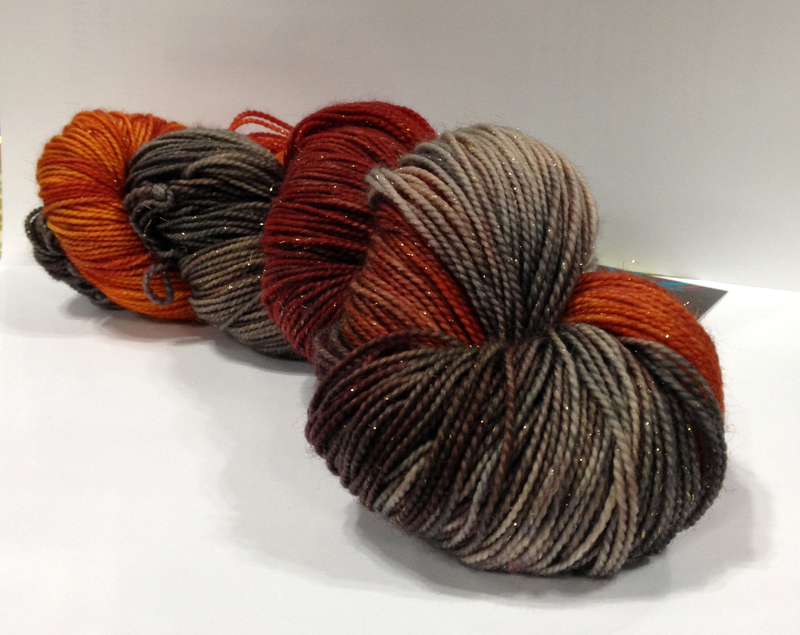 Recently Destination Yarn has been exploring stipple dyes – creating bright, spots of color – in colorways such as Color Run and Summer Wedding. 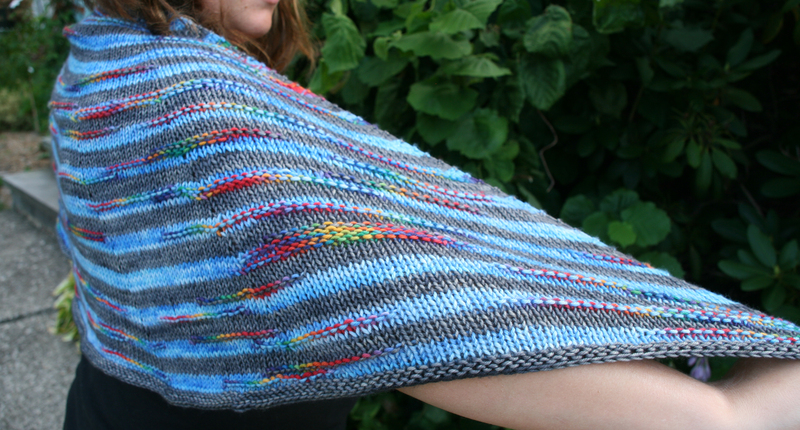 Destination Yarn also has several patterns and kits for sale including the new Chasing Rainbows shawl – this shawl uses the variegation of the yarn to create an interesting texture. 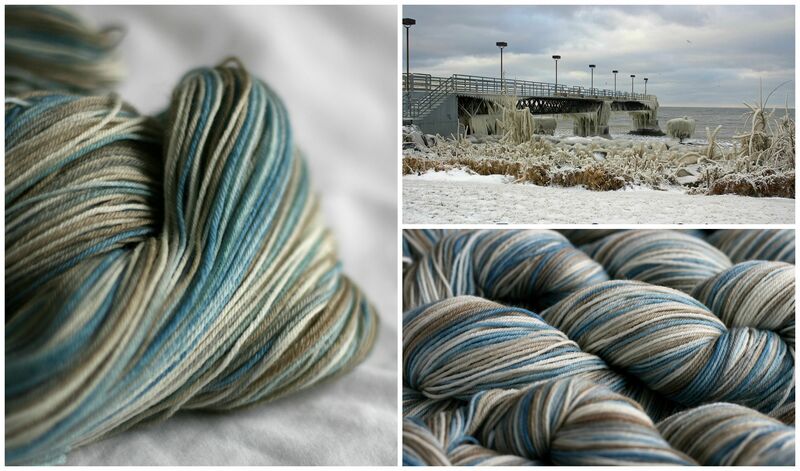 Using travel as inspiration is a fun starting point and a unique way of looking at the hand-dyed yarn process. Destination Yarn owner and dyer Jeanne Stevenson was educated as an architect and always loved to travel. Although she grew up around the fiber arts she didn’t discover her true passion for knitting until 2004 when she finished graduate school and had free time again. Destination Yarn allows Jeanne to merge her passions combining travel and architecture with fiber and knitting. This unique point of view lends itself to creating vibrant and interesting colorways.